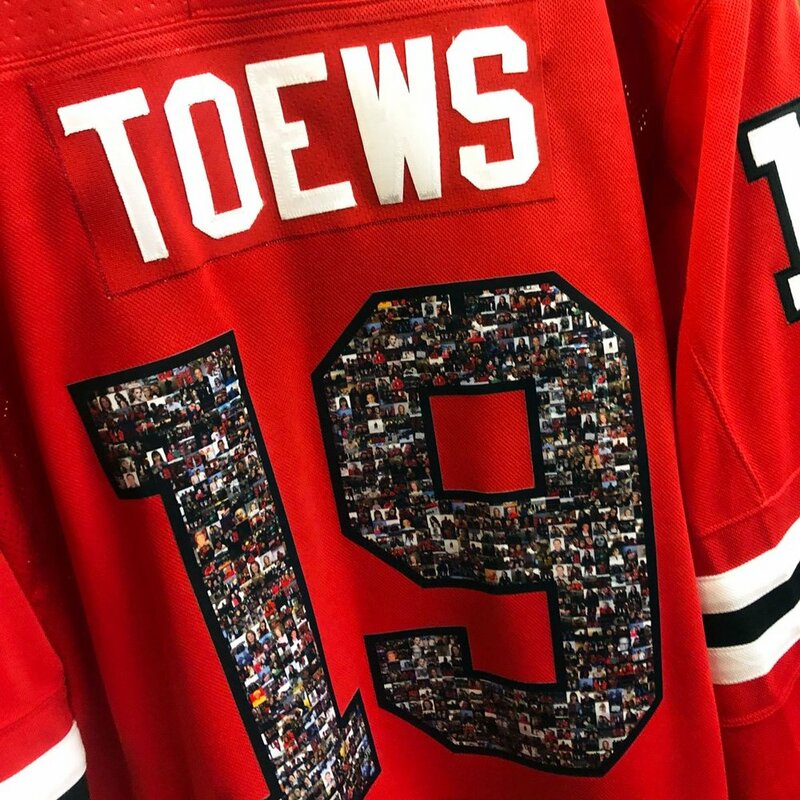 The Chicago Blackhawks paid tribute to their season ticket holders with these special warm up jerseys. 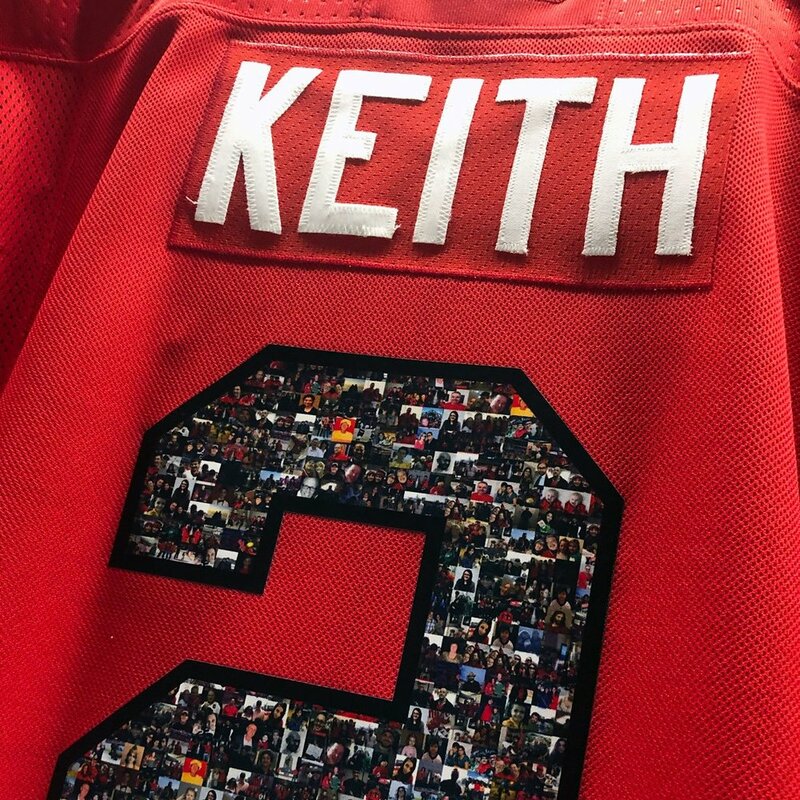 Each player received a special jersey that featured a photo collage of each season ticket holder within their numbers on their jersey. This is a great way to thank the fans that make the difference within the organization.